Beginning November 24 (check local listings), two of the greatest living jazz singers, Tony Bennett and Diana Krall, unite to honor the legacy of the premiere songwriting duo of the Great American Songbook, George and Ira Gershwin, in the new music special Great Performances – Tony Bennett & Diana Krall: Love is Here to Stay. Behind-the-scenes sequences recorded during the making of their new album, “Love is Here to Stay,” highlight the personal and musical rapport that these two artists have established over the course of their 20-year friendship. 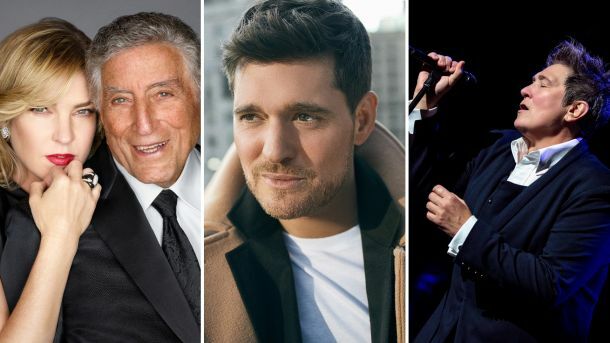 Tony Bennett & Diana Krall: Love is Here to Stay, Michael Bublé: Tour Stop 148 and k.d. lang – Landmarks Live in Concert will be available to stream the same day via Passport at pbs.org/greatperformances and on PBS apps. PBS Passport is a special benefit for PBS supporters to access an on-demand library of over 1,000 hours of quality public television programming. Viewer contributions are an important source of funding, making PBS programs possible. PBS and public television stations offer all Americans from every walk of life the opportunity to explore new ideas and new worlds through television and online programming. Contact your local PBS station for details on PBS Passport.